I received a bunch of gorgeous, organic carrots in my farm share box last week! This was my first time getting carrots with the greens still attached (I had to trim them down quite a bit) – I always bought them in a bag. And wow – they are so small and adorable and TASTY. My husband and I were both marveling at the fact that these were the best carrots we’ve ever had. I don’t know if I can go back to the bagged variety. Look at how different they all look, too. I love the one that’s all bent! I snatched it up first, right after I was done taking photos. It was delicious – just like the others. 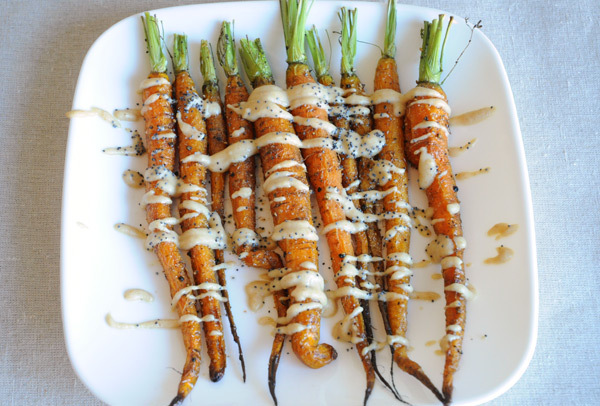 Instead of just roasting these carrots, I rolled them in some cumin, salt & pepper, then drizzled a tahini & coriander dressing over top. Yum, yum – big time YUM. Preheat your oven to 425F and line a baking sheet with a non-stick mat or parchment paper. 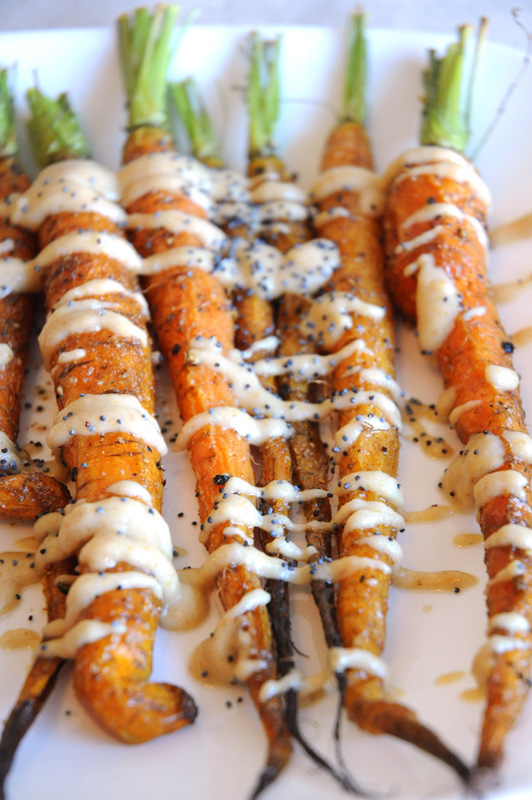 Place carrots on your baking sheet and drizzle with avocado oil, salt, pepper, cumin, paprika and cayenne pepper. Roll the carrots around until they are all completely covered. Roast for 15 minutes, or until fork-tender. In a small bowl, mix together the tahini, lemon juice, extra virgin olive oil and coriander. 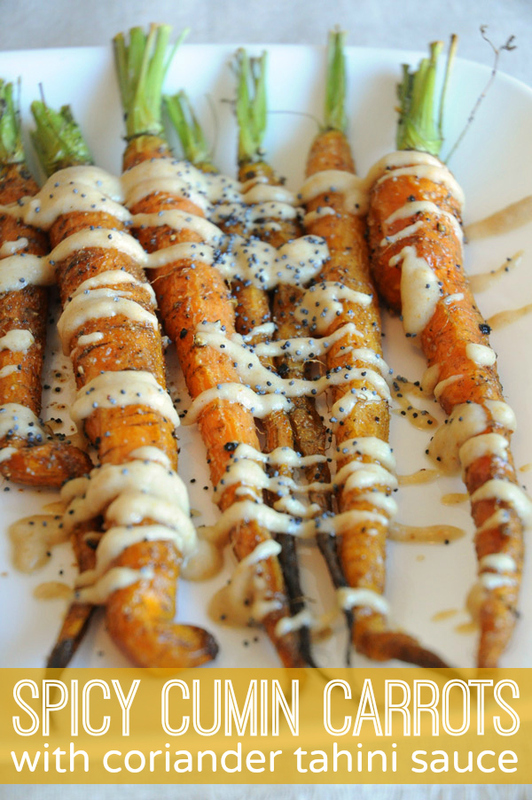 Drizzle over roasted carrots, sprinkle with poppy seeds (if desired) and serve immediately.